Let’s face it: there is a multitude of beard styles. Yet how about this: 75% of men don’t know how to pair their face shape with the style of their beard, according to a number I just made up. Really now, it’s not that easy to know your face type, let alone pair it with the right beard. So that’s why we’re here for! We’re going to suggest some of the best beard-face pairings we could find. Hold on to your face, it’s going to get wild! Click your face shape to jump straight to the section that’s right for you! 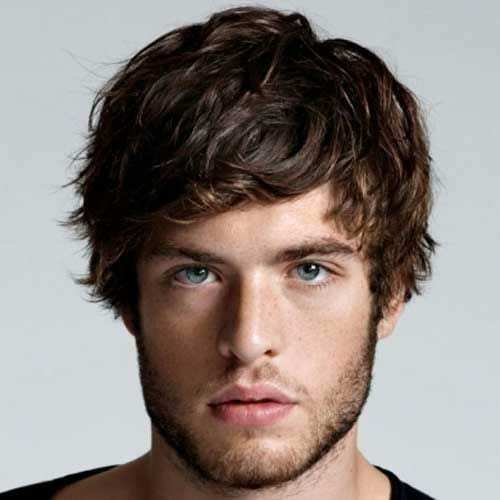 Oblong faces will want to start off with a light beard. 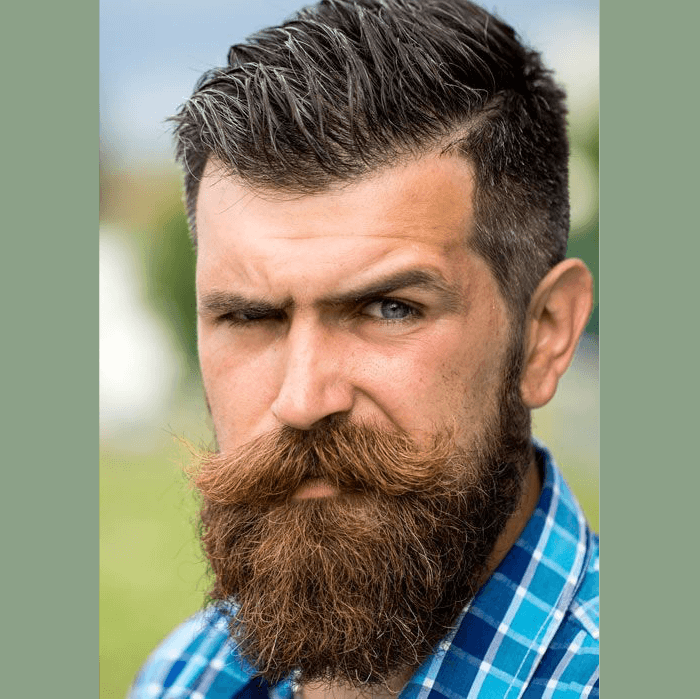 Don’t go overboard and keep grooming with diligence while you’re growing it out! 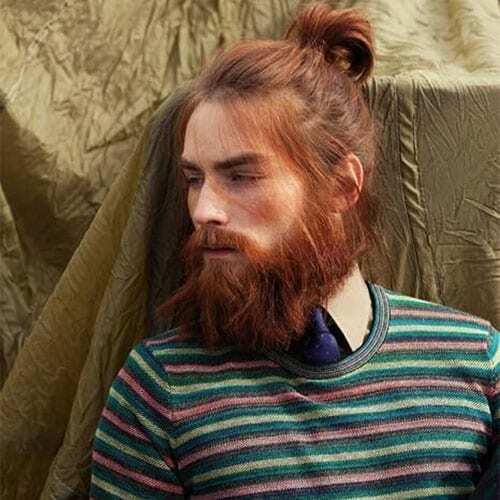 That way, you won’t look like the latest trendsetter in hobo-chic fashion. Baffleck won a lot of people over with this style. Simple, effective, yet kind of difficult to maintain. 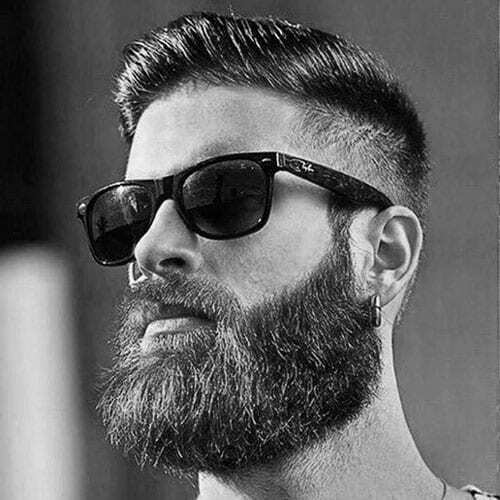 You’ve got to have a pretty thick beard to be able to pull this off without looking like you just forgot to shave. Secondly, you have to level it with an electric razor almost every day and use beard wax to hold it down. 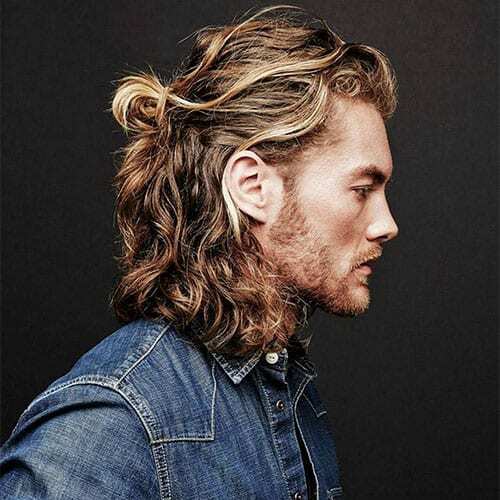 You need normal to thick hair to pull this off, but the advantage is that there’s little to no effort to it! 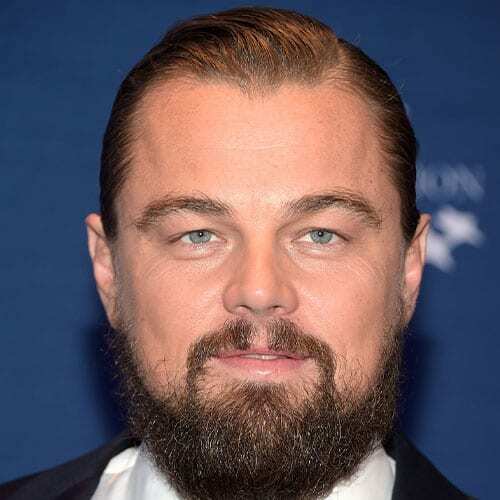 Look at the neck line of this beard – completely ungroomed. But you need to pair it with that messy hair look otherwise you’ll come off as inconsistent and just lazy. Jeffrey Dean Morgan manages to rock this look so well. You might look at it ad thing – oh, is that even groomed at all? Yeah, it is – look at the cheek lines above the beard, you can clearly see it would’ve gone up way more if it wasn’t trimmed. And the mustache is perfectly trimmed to match the mouth line. 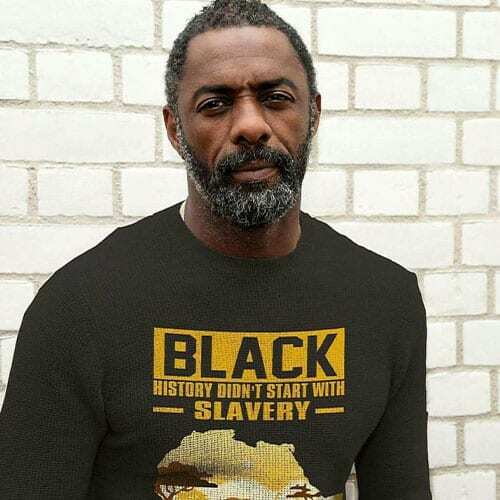 No matter how much your try, you’ll never nail that Idris Elba look. 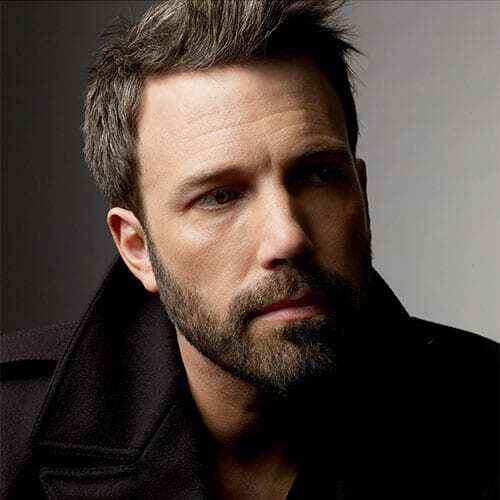 But you can get as close as possible with this beard style that works really well for oblong faces. Basically, you need to leave your goatee and mustache longer than the rest. Otherwise, keep the grooming to a minimum. This also works great with afro-textured hair. 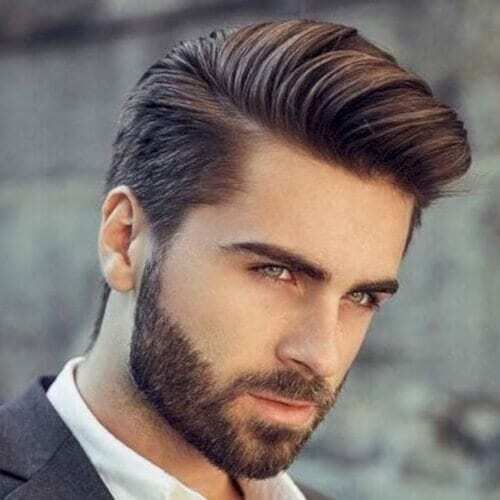 Keeping it long is great for most face shapes, but it works particularly well with oblong faces if you square it out and leave the front of the beard significantly longer than the sides. Internet fame aside, this guy really looks amazing. Despite the bright red color of his beard, it’s not what we’re looking at here. It might look like there’s no rhyme or reason to it, but we can tell the cheek line is expertly trimmed. 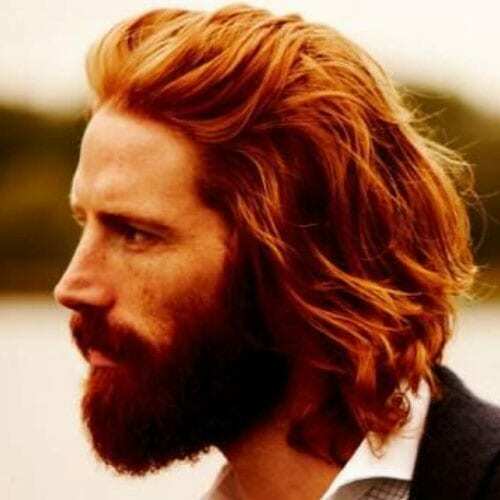 Not only that, but the front beard is delicately enhanced along its edges so it catches your eye. Fades are awesome, everyone knows that, and if you don’t we’ve got something that will convince you! Anyway, oblong and oval faces can really make an oval beard look cool. And if you add that super smooth fade, you’ve got a killer look right there. That Hungarian stache makes this look what it is. The beard is overgrown and slightly larger in the front. 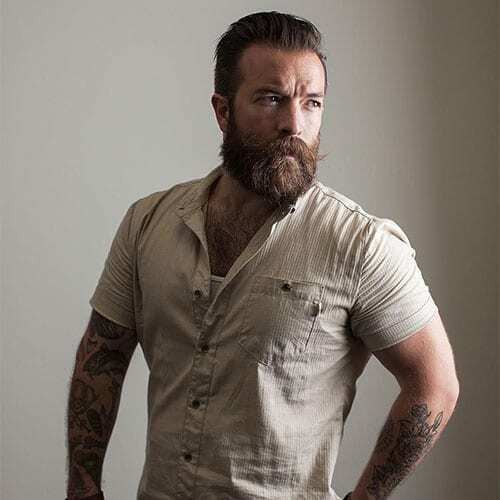 Though this is a full beard look, it’s clearly neatly trimmed along the edges. 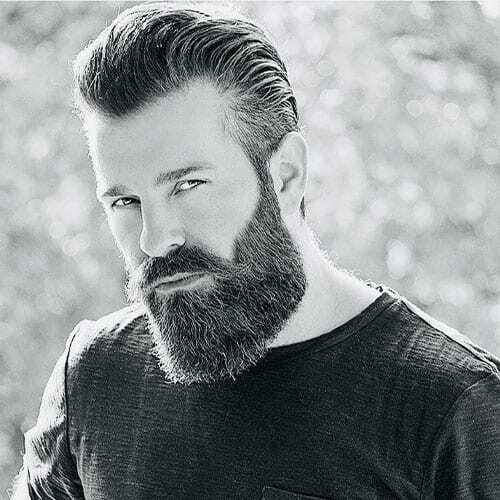 The oblong face is the perfect fit for a longer beard. The faded sideburns work great with this short-hair/long-beard look. The Hungarian mustache is a great addition but to our mind it’s a bit extra. You could do fine with a basic wild west or lampshade mustache. 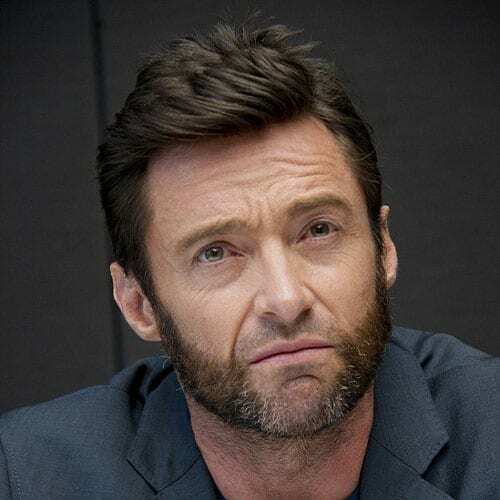 Hugh Jackman’s face isn’t oblong, but it’s the best example of messy mutton chops we could find. But theoretically, oblong faces can really try the adventurous side and go for mutton chops. The only challenge is finding the right barber to do them for you! 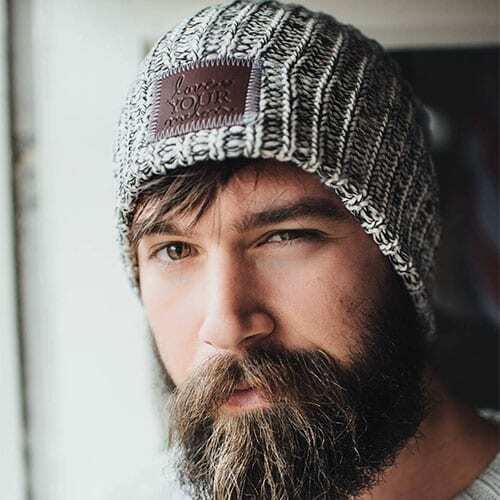 That beanie, urban look works great with a rectangular face, and adding a scruffy beard only enhances it! As classy as classy gets. Look at those perfectly groomed edges and lines. Get that fancy mustache look by trimming only the center of your stache and combing the rest outwards with wax. Short sides long top cuts work pretty well with rectangular face shapes, but pair it like this and it becomes something completely different. The sideburns need to be regularly maintained. The English mustache needs to be adequately waxed each morning so it retains its shape naturally. Don’t twirl those tips too much or you’ll end up looking too extra. 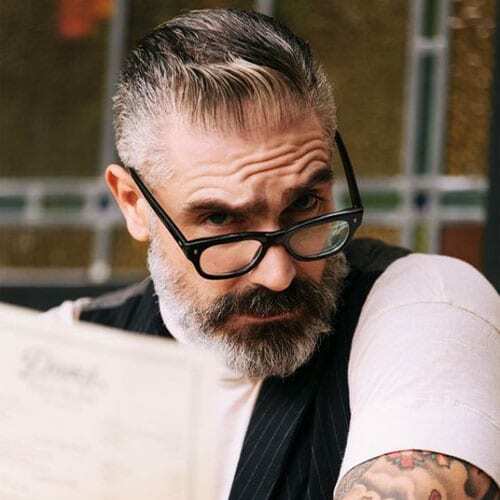 Something that works with both rectangular and diamond faces alike, the diamond beard gets extra points if you have a silver beard like the guy pictured above. This one works with thin beards. Warning: having a thin beard doesn’t mean the hairs are thin. My own beard has pretty thick hairs but it’s not as thick overall. Can this man stop getting better and better with age? Regardless, that beard works great with rectangular and square face shapes. Notice how it starts right under the lower lip, but it’s still perfectly groomed along the sideburns and the neck line. But the cheek lines go up from the sideburns, instead of down, then forming a sort of slope. Who said geometry has nothing to do with it? 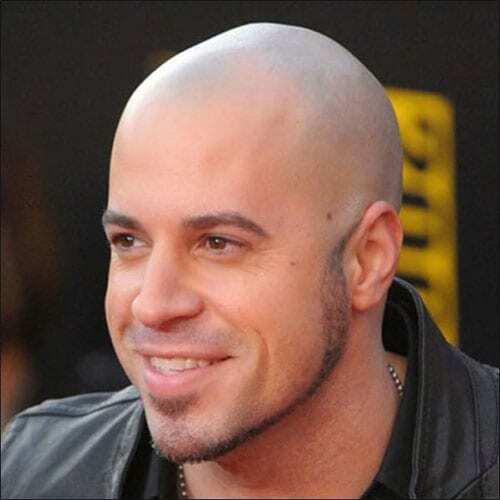 Take out your electric trimmer and a ruler and shape that goatee into a trapezoid. The cheek line needs to be adequately trimmed every few days. As for the mustache, make a basic wild west shape and twirl it up ever so slightly. This one works best with afro-textured or curly hair, but it can be made to work with straight hair too if you’ve got a good barber. Notice the angle of the beard – slightly triangle-shaped but with a rounded front end. 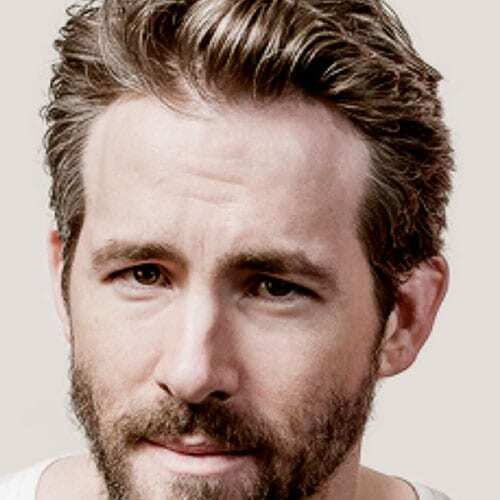 Again, the beard starts right under the lower lip – which helps give that complete look. 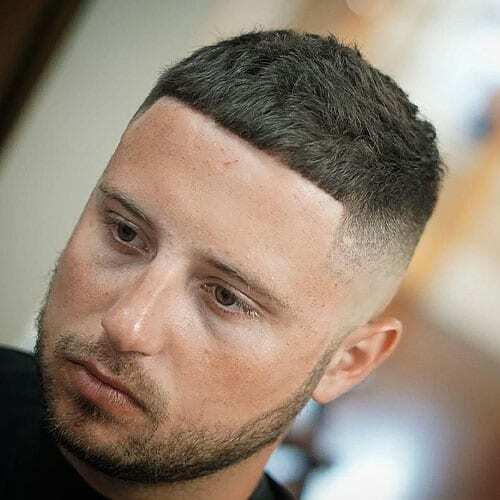 The master touch here is the acute backwards fade which everyone can agree that it looks amazing. Again you’ll have to take out the beard ruler for this one. That right angle is so sharp it could kill. Notice: the high cheek line goes perfectly parallel with the lower neck line, but then sharply descends towards the mustache. Really cool look for a rectangular face. Some men really don’t like that the front end of the beard tends to grow faster than the other parts of it. Others harness that beard power and turn it into something beautiful, just like the dude above. This one works great with rectangle faces paired with wavy locks. The ginger addition in the picture only makes it more fire. Literally. Highlight: the handlebar mustache was left to grow over the beard. The color combos on this dude are weird but you can’t look away, right? 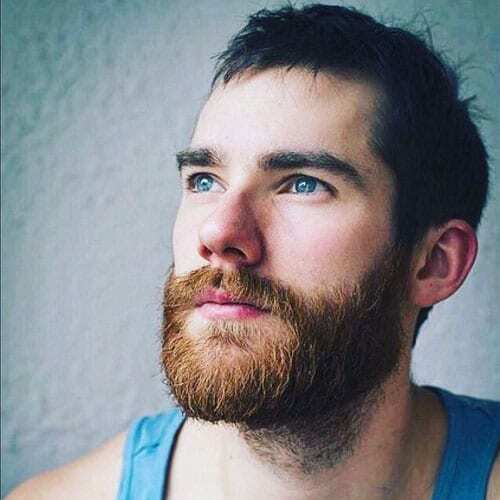 Black hair, eyebrows, blue eyes, and almost ginger beard? I mean count me in. 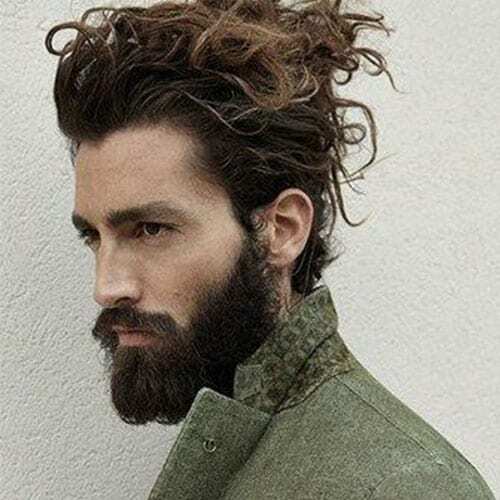 Nothing much can be said about this beard style except that you have to keep it tidy, despite its straggly look. This guy knows what it’s about. 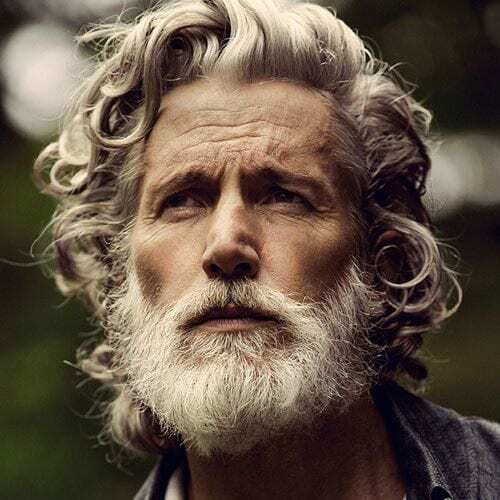 The graying hairs don’t take away from but add to the awesomeness of the look. And I think we can agree, glasses and a top hat can enhance a beard look any day. 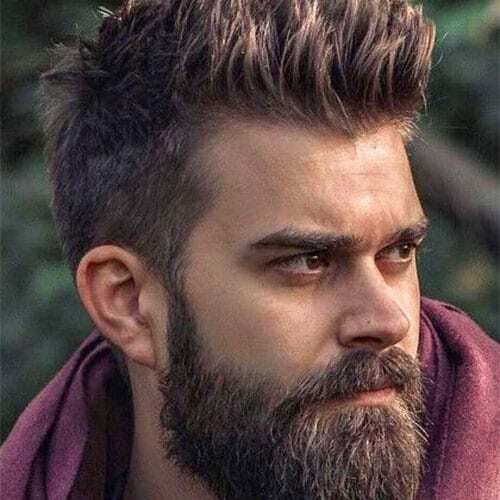 This guy’s face isn’t precisely round, but this type of beard combo does work really well with round faces. 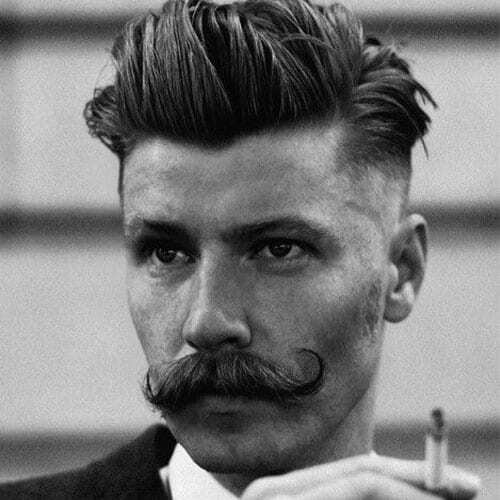 Notice: the overhanging mustache and the cool look the abrupt fade gives when paired with that top knot. 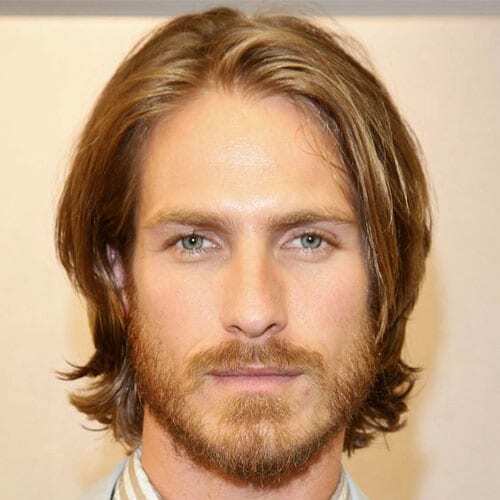 Barely a beard but if you’ve got a round face and are just starting to grow a beard, this is the route to go. See how the chin is shaved ever so slightly towards the tip, to give the guy a cleaner look. 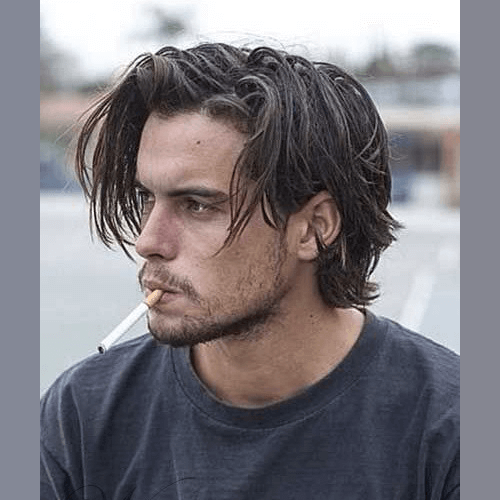 A great trick to look cool for those of you with round faces and thin or receding hairlines. Just let it go! 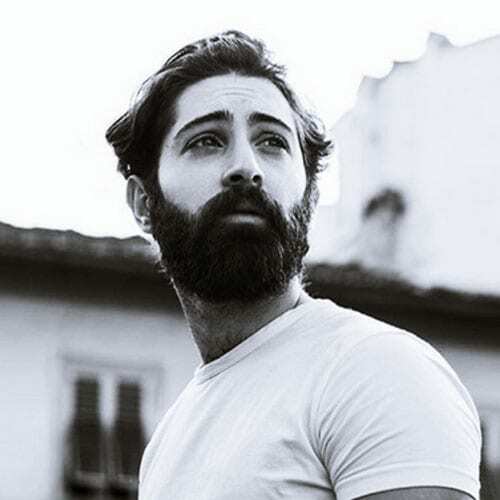 Let your beard grow and trim it to between 2 and 4 centimeters. Look at this dude! Classic cool is practically written on him. Oh wait. 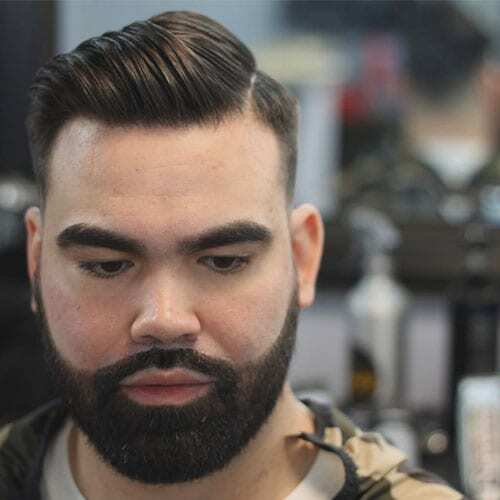 This guy’s beard style is really cool, and we figure he did it like this: gave it a thorough trim along the cheek line, used a pair of scissors to thoroughly clean loose hairs, and then applied a generous amount of beard pomade to hold it down like that. The result? A cool look to which the messy neck only adds in awesome points. 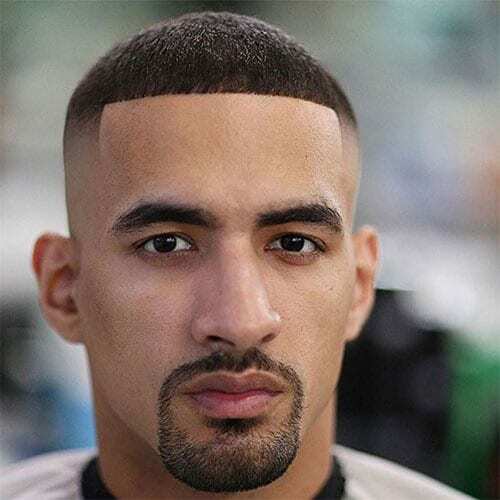 We got the triple fade here and to be honest it just works so well with round faces. 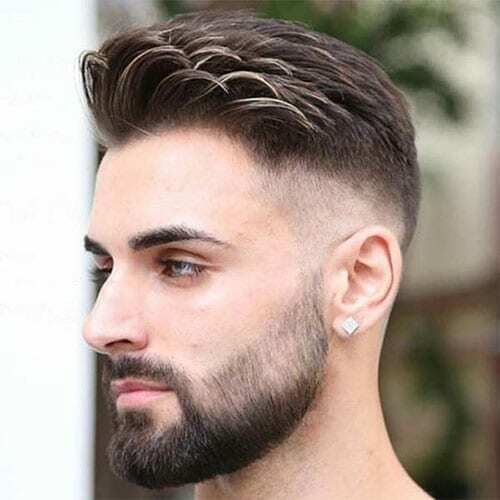 No 1: the high fade hairstyle. Fade no 2: the sideburns. 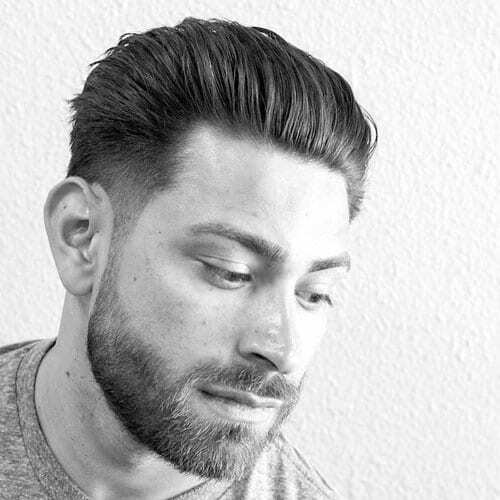 Fade no 3: the beard – notice that it’s thicker and darker towards the neck. 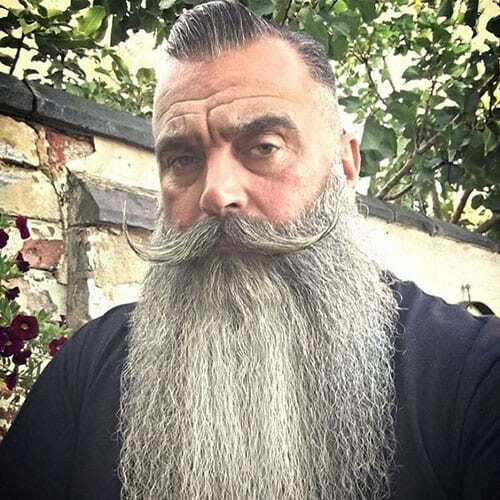 This is some sort of reverse beard fade that looks seriously cool. When you’ve started seeing proper beard growth all along your round face, this one’s the way to go. 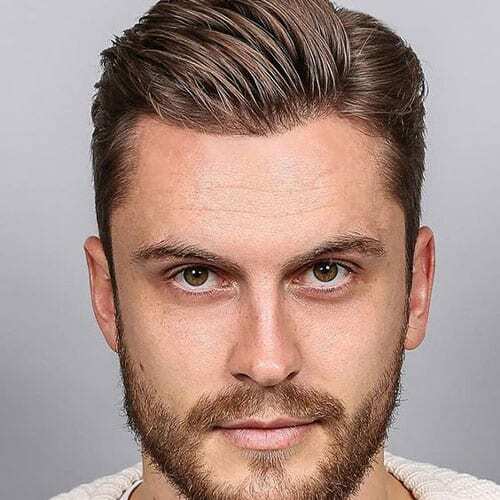 Simply let it grow overall and trim it so that it’s not too long and the cheek line meets the sideburns in a cool, arching way. 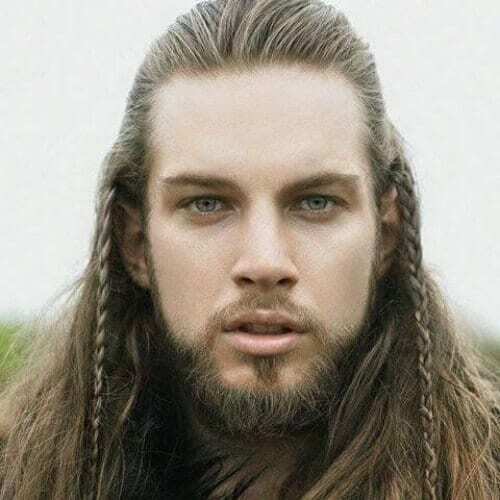 Okay who can beat this one when it comes to beards for round faces. 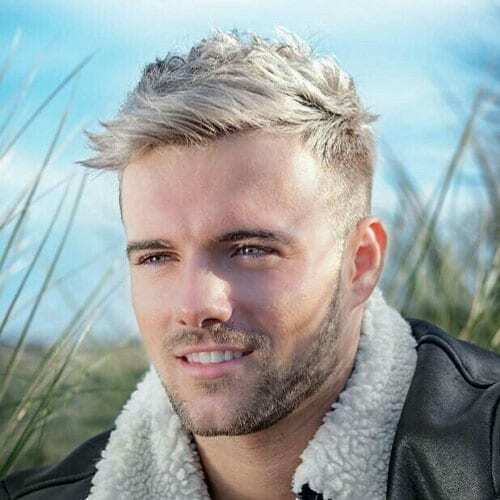 Notice how perfectly shaven he is above the cheek line and how low that line is. 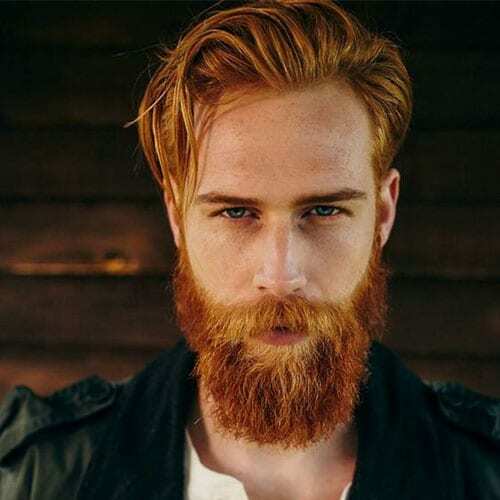 This beard doesn’t necessarily make him hotter, but it does make him extremely interesting. 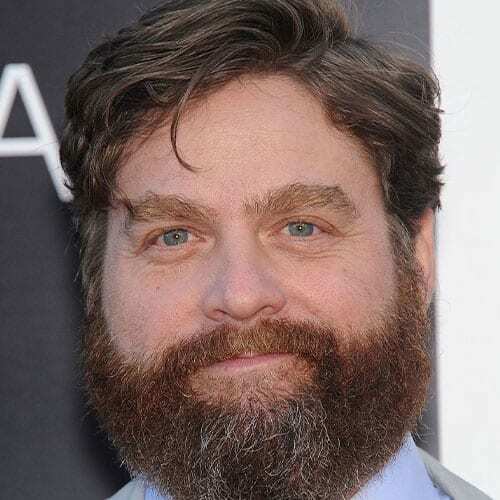 This is unmistakable THE Zach Galifianakis style. 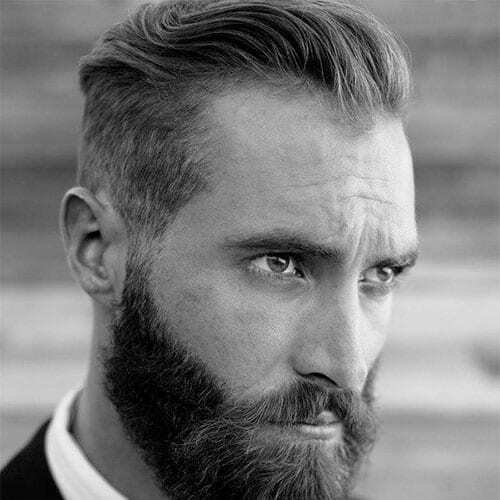 Basically, you just need to leave your beard go wild, and just trim it in a semicircle shape. Add the messy hair for bonus points. 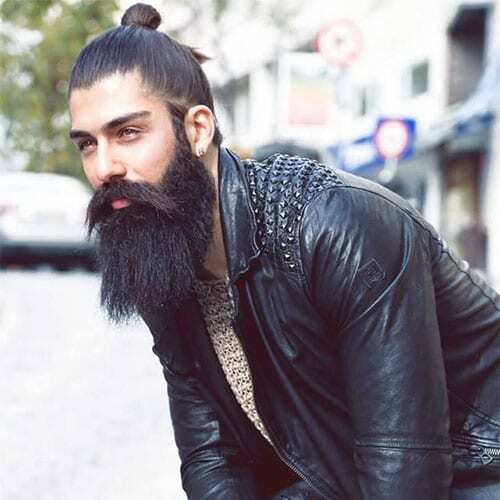 To be able to pull this look off, you need a particularly thick beard. The highlight of this beard is the contoured beard with the high front beard. 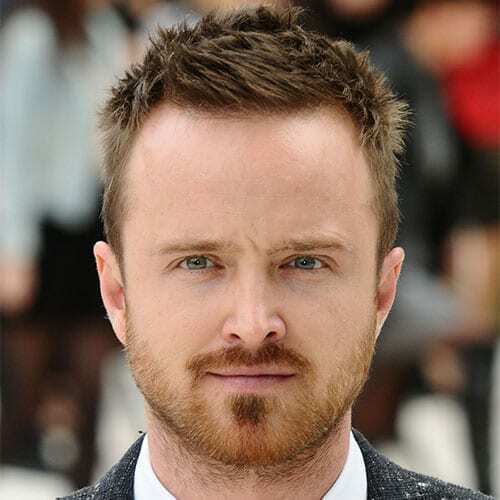 This classic Aaron Paul look may look a bit untidy down at the neck line, but that’s just part of the look. The beard is very neatly contoured, with a slightly thicker moustache and an extra thick soul patch. This is one of the ideal hairstyles for round faces as it really brings out its shape in a positive way. The shaved head look is equally great for round faces. Notice: no mustache, the sideburns form an elongated S shape. 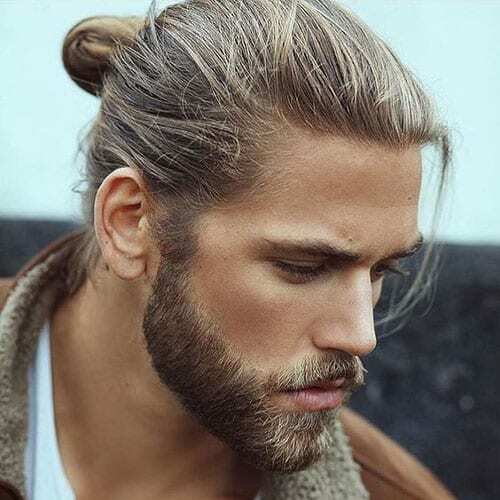 While this face is a bit more oval than round, the beard style works great with rounder faces as well. 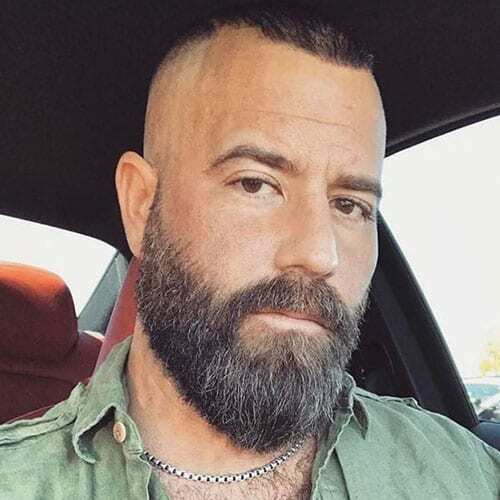 The highlight of this beard shape is the high cheek line. A lot of scruffy styles around, but they’re all slightly different. The one above is a bit more rugged-looking and messy, but it works exceptionally well with square faces. That fade along the cheek line going up through the sideburns, beyond the ear – that’s the mark of a truly professional barber. This fire look fits so well with square faces because it enhances the natural contour. Nothing beats that Tom Hardy look. 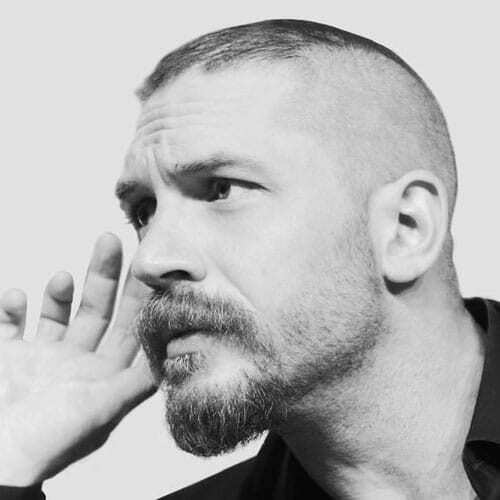 And this Tom Hardy look is possibly one of his best. 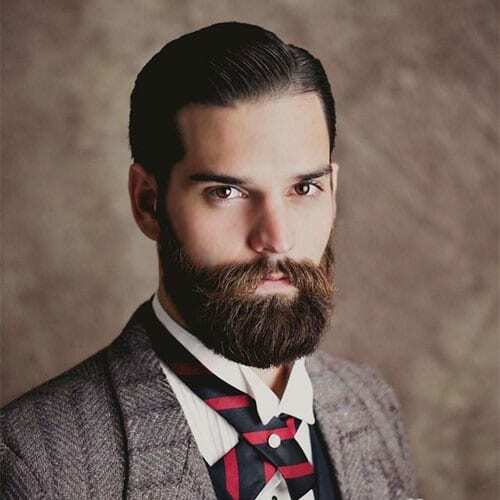 Despite looking like he’s about to attend a white nationalist meeting, that beard style is pure awesomeness! The untidy look works perfect for square faces. 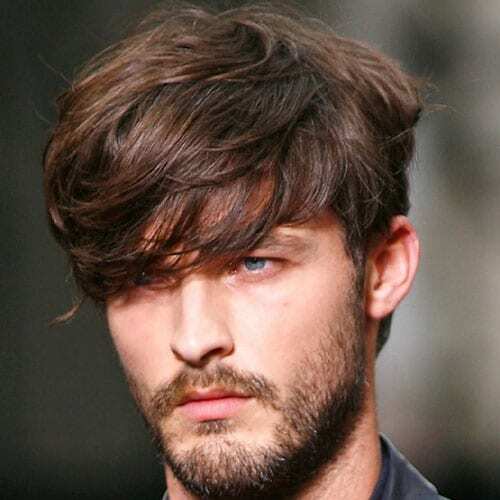 The only thing you need to be careful with is to keep it tidy and groomed so you don’t embrace that hobo-chic look. That full beard works extremely well with the straight, unfaded cheek line and it’s a look I’ve also been known to try on occasion. The problem is that it’s hard to maintain. Yet if you can get over that, this look is one of my personal top three for square faces. Let’s look away from that money hairstyle. Let’s ignore the amazingly-well-done fade. And the fact that this face isn’t square. 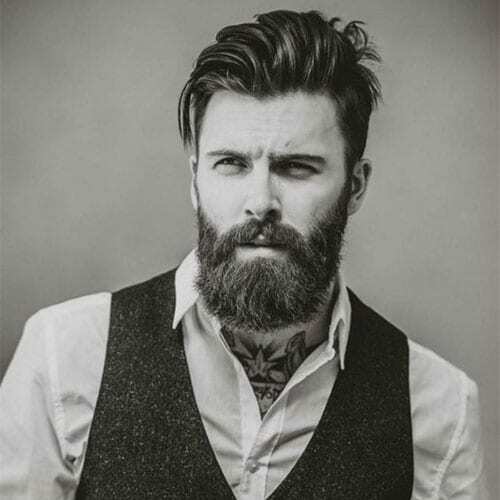 That type of beard you see there is called a circle beard and it simply enhances any square type face. Older men with square faces don’t have to sacrifice their style. Look at this dude. 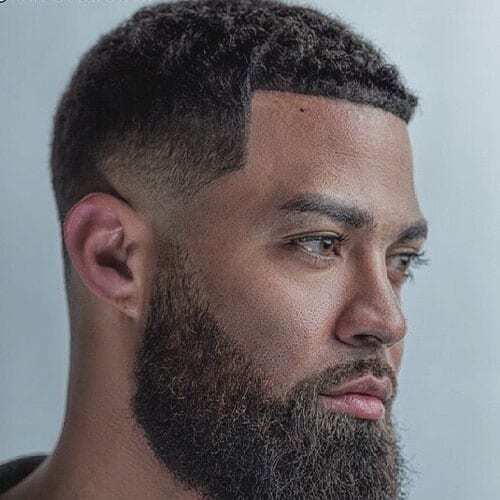 Perfectly clean beard with a smart groom that makes it look like there wasn’t much effort to it when in fact professionals will clearly see the finesse with which that look was achieved. While this style looks incredibly well, it’s pretty high maintenance. Don’t imagine that those two lines will keep showing for too long, so you need to train yourself on the upkeep. 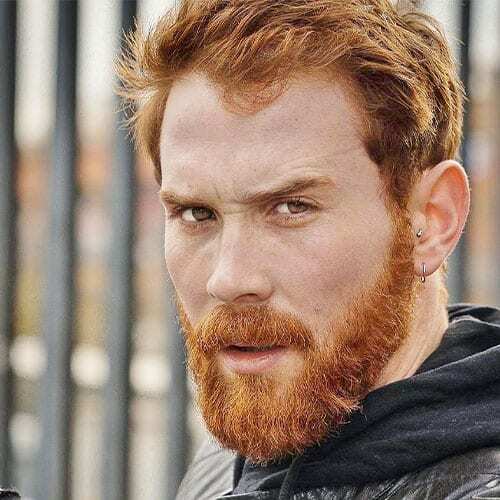 That freckled ginger look is almost literally fire – ha. 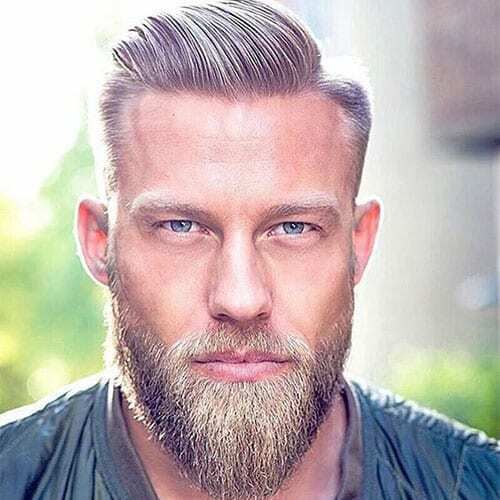 Try this short, straight beard if you want to charm everyone you meet. Bonus points if you’re actually ginger. 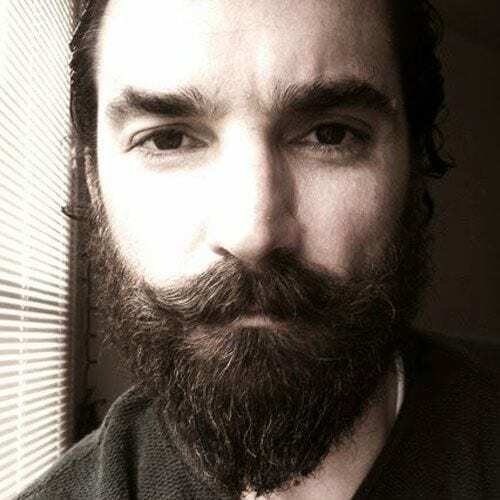 Step one – let your beard grow uncontrolled. Step two – groom the contour and the mustache, leave the front a bit wild. Step three – trim the cheek line. Step four – ???. This square look fits really well because, as you can see, all of the hair is almost at the same level – beard and all. There’s a slight accent at the tip of the beard but that’s it. 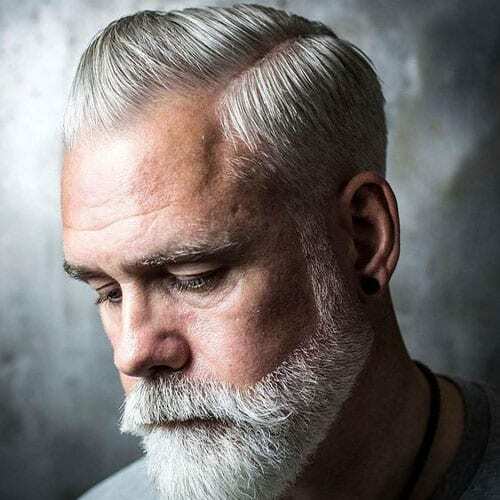 Another entry in the catalogue of beards for older men is this unruly white beard. Though it looks wild, it’s still tidied up a bit – see the moustache and the cheek lines. That wavy hair makes it looks perfect for this square face. 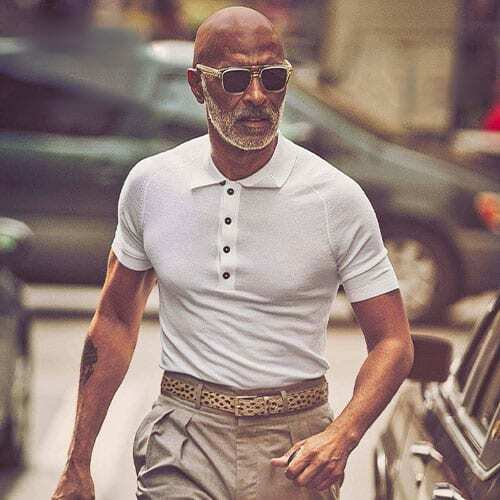 As we’ve kept saying, older men don’t have to miss out on style, even if their hairline is receding. And this dude here is a perfect example. That gunslinger mustache is so well trimmed! Notice also the cheek line and the slight fade. While the name is slightly unappealing, the beard still looks really cool, especially for diamond shaped faces. The form allows for slight variations in length as well. Diamond faces can really look the part for this beard, mostly because the beard mimics the shape of a diamond. The curved cheek line further enhances the look. The diamond look is ideal for long hairstyles and the notorious man bun. Check out this sleek guy! Mandatory detail: thick sideburns. You know who can down a keg of beer and then fight down an army of frost giants? This guy. 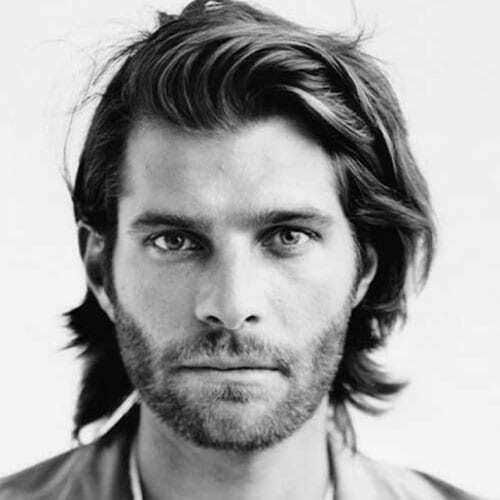 There’s really not much to the look: a thick, bushy beard, long hair, close to no trimming. Probably the most on-point look for diamond faces. Mandatory part of this look: the elongated goatee. What better for a diamond shaped face than another diamond on top of your beard. Well, a figurative diamond, of course. 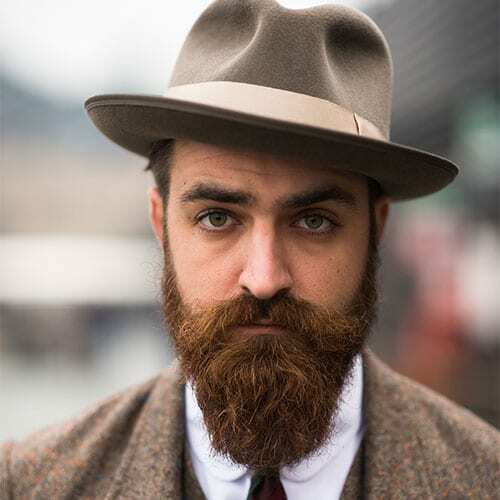 The staple of this beard style is the pointed tip. A more unkempt Chevron mustache variation, but it works really well with diamond shaped faces. 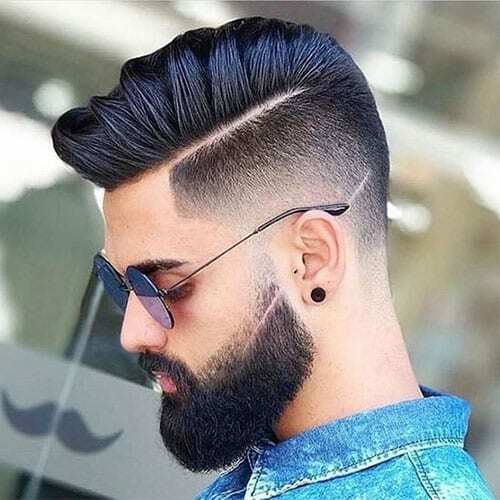 The thick beard is a must for this style. 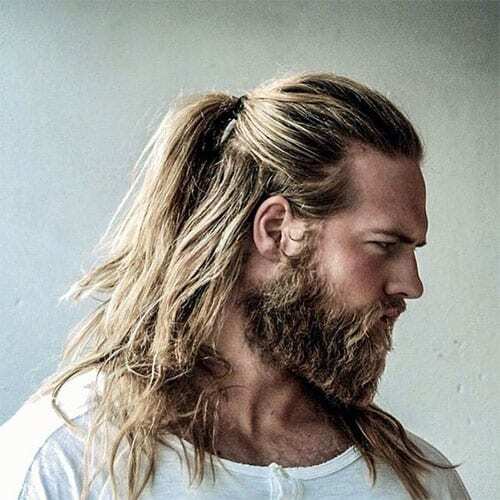 The scruff of this beard is a perfect match for the messy wavy hair of the dude in the picture. And it could be for you too! The only requirement? A diamond shape face. This classy look is now a staple of the one and only Ryan Gosling. Notice that the more you look at the photo, the more asymmetrical his face looks. This guy could also join that dude from earlier in his fight against the frost giants! Take a look at that smooth cheek like that curves downward, then rises back up just enough to meet the mustache line. Extra points if you can get those braids! 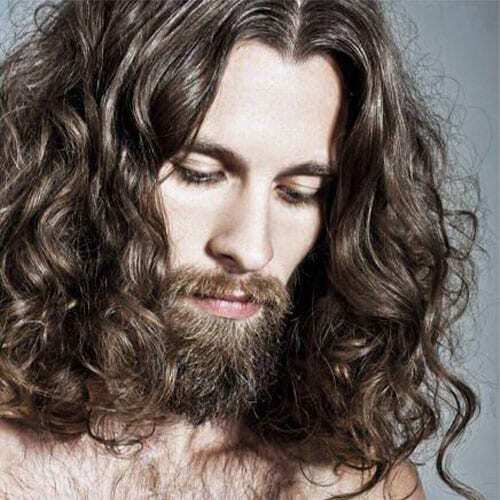 That wavy hair is amazing, but we’re here to talk about how well that beard goes with the inverted triangle face! Notice: the perfect trim on the mustache. This one works incredibly well if your beard grows naturally like that. Otherwise, it’s difficult to make it look okay. Still, this style is literally fire! Classic look. Not much else to say about the one and only Deadpool, really. 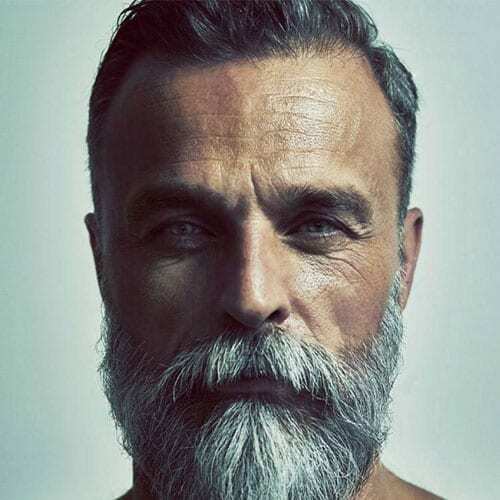 It might not seem like much, but this beard is carefully groomed to look textured and layered. Add the messy hair and the wild look of the dude above and you could probably kill someone just by staring at them. Going a bit extra with the grooming seems to work with inverted triangle faces. 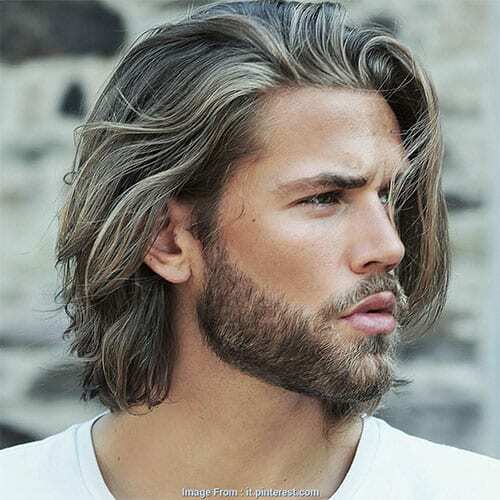 Pair the overly-trimmed beard with long, mesmerizing straight hair and you get that dream boy look a lot of guys aspire to. 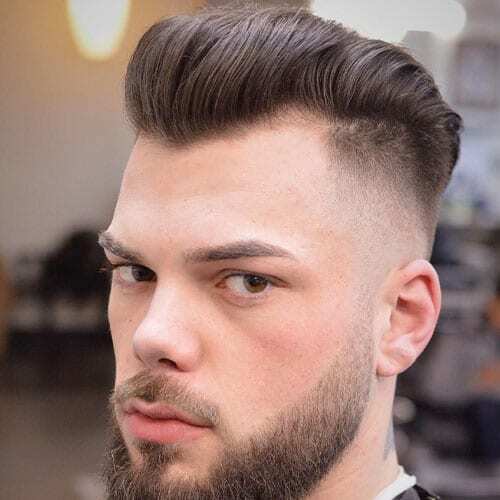 This beard style is almost a chin strap, but the cheek line goes a big higher than it normally would in a chin strap situation. The highlight of this style is the bushy Van Dyke styled goatee, slightly messier than it would normally be. This dude’s also going for that wild look and it works really well for inverted triangle faces, especially with that wild hair. 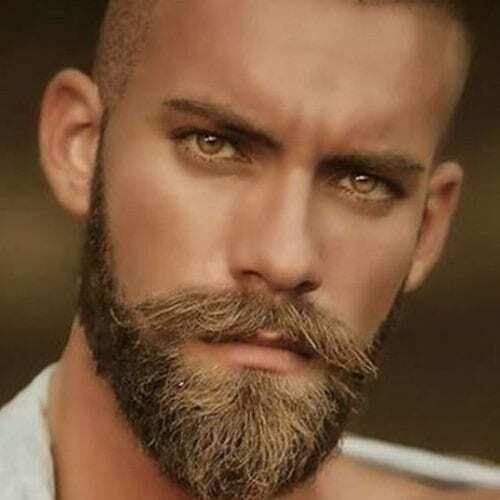 The highlight of this style is the mustache which contrasts with the rest of the beard by being expertly trimmed. 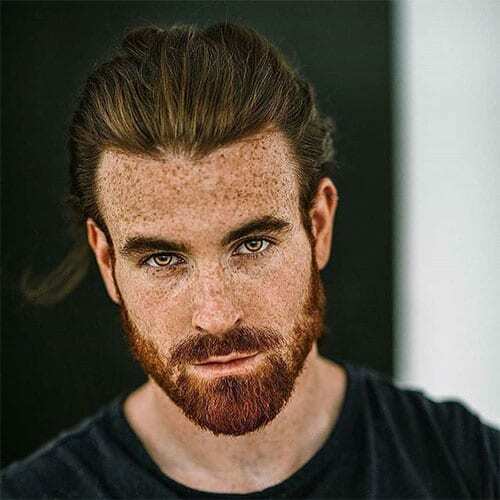 There’s not much to say about this type of beard, except that it’s perfect for that inverted triangle plus freckles look. It’s pretty basic, following the contour of the face, with a slightly longer front and a messy mustache. This may not look like much but I assure you a lot of thought and effort went into that fade on the cheek so it looks natural. One other highlight of this look is the Messy Van Dyke, with the mustache being left a bit unkempt. 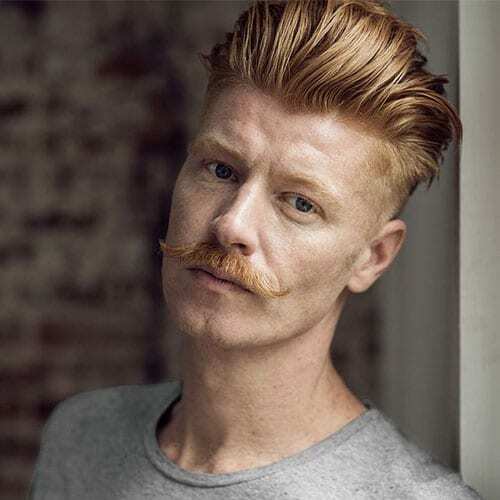 That English mustache look is often too much, but pair it with an inverted triangle face and it’s a killer look. The addition of the beard is perfection. You need to have a certain look to pull off the bushy groomed mustache and not look like a creep. 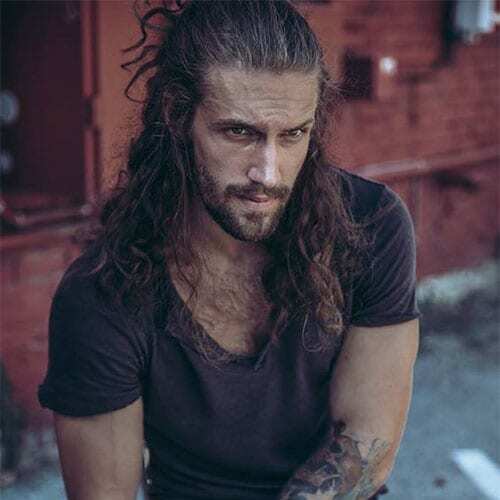 Medium-long hair with a beard and an inverted triangle shaped face fit pretty well with that look. 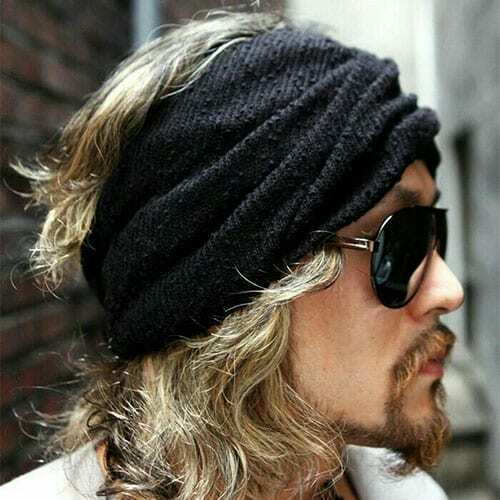 No much to be said about the Johnny Depp Van Dyke – it’s simple, it’s styled, it’s classy. 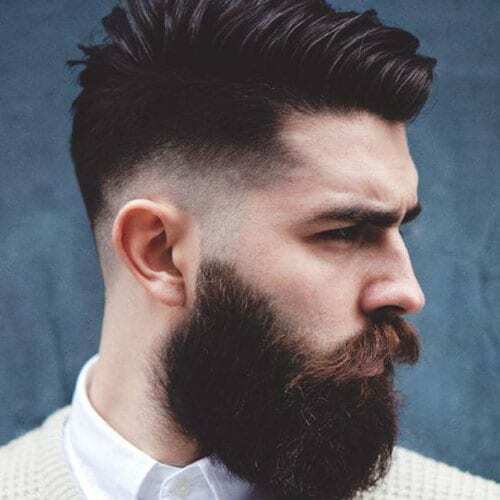 This beard style fits both diamond and inverted triangle faces. The trick here is to get a good barber and learn to trim it yourself afterwards. Going for that Jesus look? Some people really like it and I guess it just works. The beard needs to be bushy and unkempt, but not so much that it makes you look hobo-chic. Bonus points for long hair. 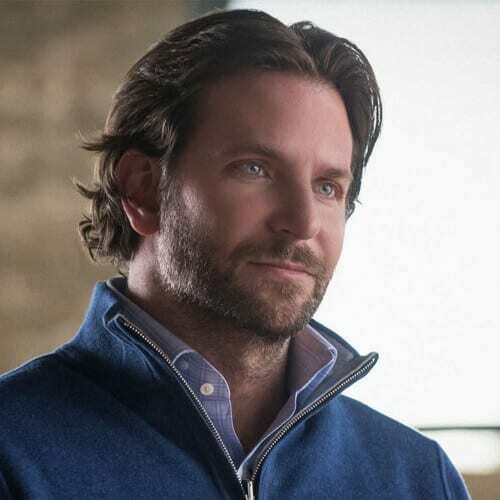 Bradley Cooper has an almost perfectly triangle shaped face. Naturally, that scruff fits particularly well, especially paired with long sideburns and a slight mullet hairstyle. 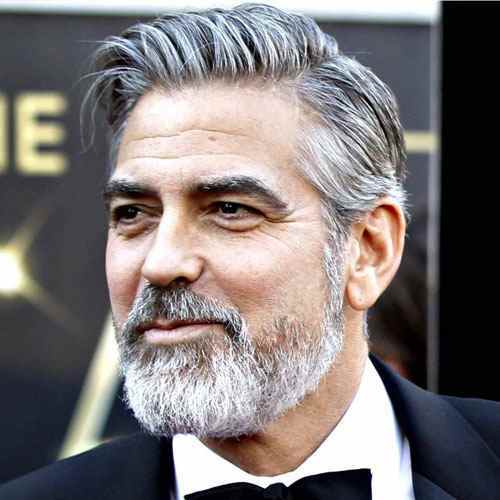 If you’ve got a triangle face and golden straight locks, this is the way to start off your beard. Groom it a little around the edges, but leave it short and natural and see where it’ll take you. Going for the ’90s grunge look? This is it. Messy hairstyle? Check. patchy beard? Check. Cigarette in mouth? Check. Generic black t-shirt. Check. What are you waiting for? This is pretty basic except that when you look closely, it’s pretty far from basic. The trim along the edges of the cheek and neck lines is perfect. The mustache is again, expertly contoured. And then there’s a break in the beard right where the cheek line should meet the mustache. Very interesting and very effective. Classic ’70s. Long hair, bushy beard, not even groomed. You can let the cheek line get low or get high, and if you can’t get either, at least you tried! Ha. Notice how detailed the mustache is. It takes a lot of effort to get it to look that way. Also notice the almost perfect 90-degree angle between the descending cheek line and the rising mustache line. Want to look like an evil mastermind? Pair your triangle face with a handlebar mustache and you could probably have a go against Batman. If that’s your thing. This look may seem effortless, but it clearly wasn’t. The dude in the picture has a bushier beard towards the edges of his face, giving it more depth and a shadowy look. A pretty straightforward beard cut. The cheek and jawline edges are probably trimmed with a beard ruler. Another highlight here is the wild west mustache which probably wouldn’t work with anything other than a triangle face. 💈 We’ve used this really great mustache chart from Balding Beards to write this article. 💈 Fashion Beans helped us with probably the most straightforward and comprehensive article on how to measure your face type like a pro! 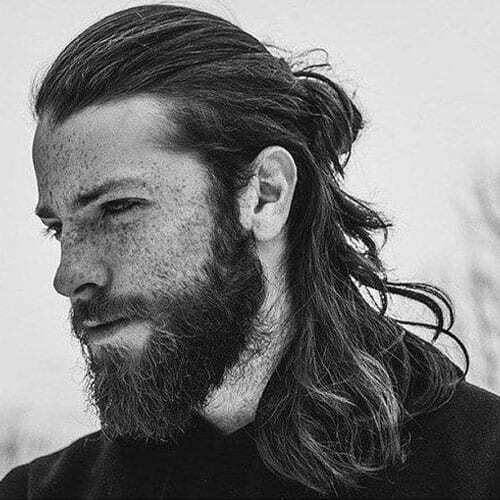 💈 Don’t forget, we always have our article on the best hair and beard products to use this year. We’ve spent weeks researching this and are still making minor changes to it from time to time to ensure the information is accurate. So which one did you pick? 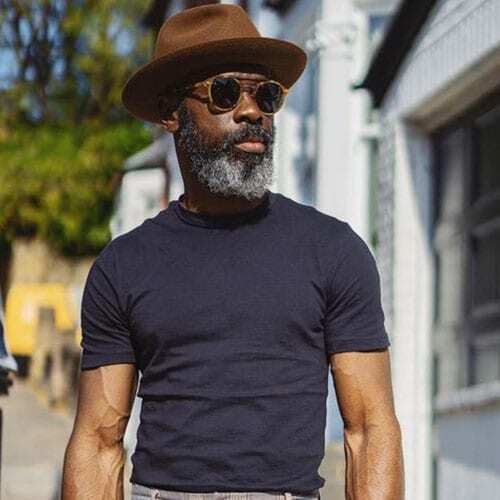 Let us know in the comments section and if you enjoyed the format of this article, share it with fellow beard-enthusiasts!